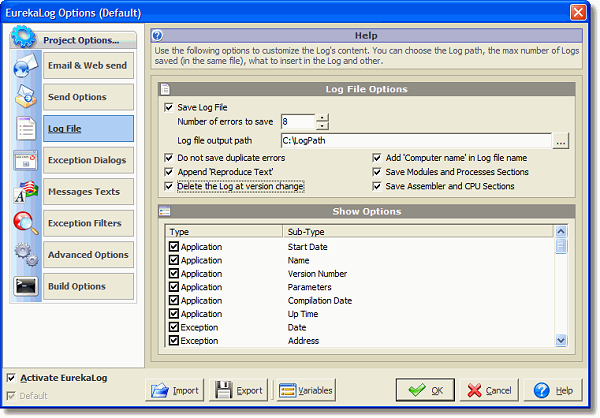 In this section you may customize the log file. You may select the type (Application, Exception, etc.) and sub-type (Name, Date, Module, etc.) of the exceptions you wish to store in the log-file.